Winter is a time when we basically hibernate. It’s dark when we get home from work and it’s cold. Winter is also a time that Councils get lots of barking dog complaints. The complaints can often be lodged with the local Council because neighbours are home more often and longer at night for example. It also can be because dogs aren’t exercised or don’t the same amount of outings, as they would in the warmer months. Broadly speaking, Councils usually get the neighbour affected by a barking dog, to keep some sort of “barking dog diary”, where they record the times and dates they hear the dog bark. Councils will generally ask if the neighbour reporting the issue, has spoken or attempted to speak to their neighbour. If you think your dog is barking and causing a nuisance, then firstly I recommend a vet check, to ensure there is nothing medically going on with your dog. Dogs bark for a number of reasons. More often than not, it is from boredom. We go to work for eight hours a day and leave our pets at home in the backyard, for about twelve hours a day. Unless you are lucky enough to be able to take your dogs to work with you! (I am jealous but happy for you and your dogs!) 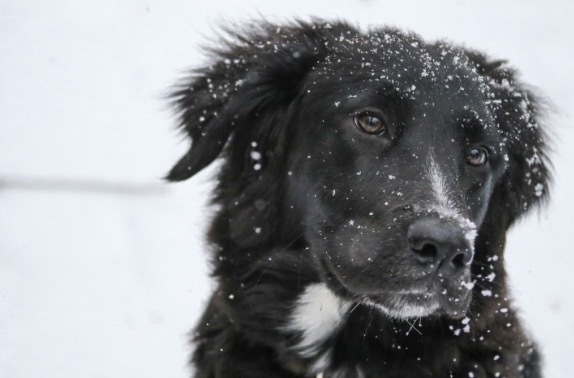 Dogs can also bark if they are cold, so please ensure they have access to some good shelter and a warm bed or kennels with some extra blankets over winter. Op shops are great places to stock up on some nice warm blankets. Look at your dog’s exercise regime. Can you get up a bit earlier and walk them before work? Have you considered getting a qualified dog trainer to help you out? Or maybe a professional dog walker to come and walk your dog during the day? What about toys? Does your dog have interactive dogs, such as food releasing toys? Take your dog on outings. Even just in the car down the shops is a start. If you have a question for me about animal legislation, please get in touch via my social media pages. And keep an eye on the DOGS Life Blog for the answers!